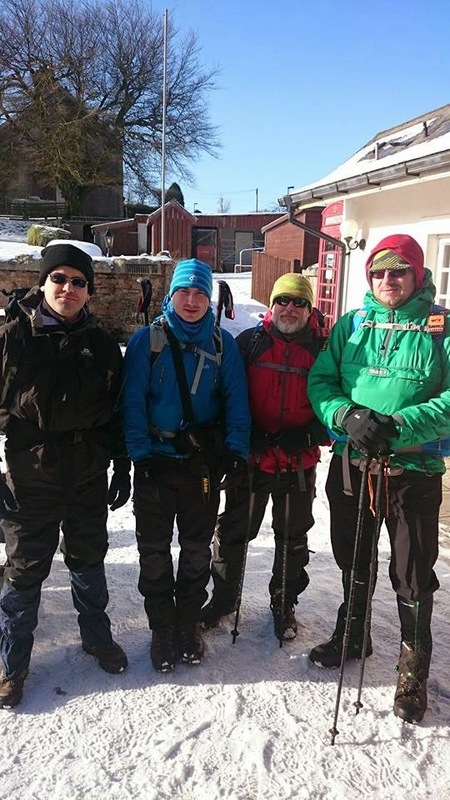 We stepped out of the Plume bunkhouse to sunny blue skies, a chill wind and crisp ground underfoot. 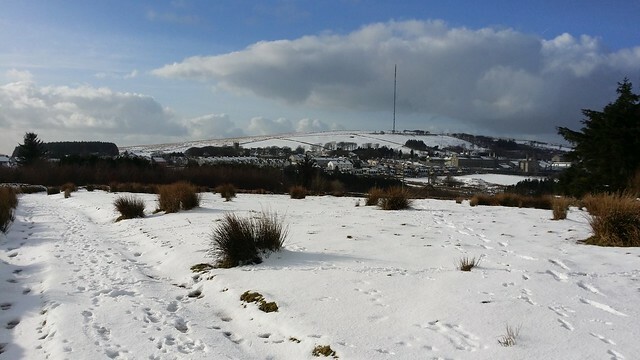 More snow overnight and a drop in temperature in the early hours had left the pub car park frozen, and so, once again, we would be embarking on a walk straight from Princetown. The task of getting to the main road could wait till the sun had done its work. Phil's injury meant he would be missing out this morning. He had the pleasure of spending some more time in the Fox Tor Cafe, and visiting Anna Curnow and Adrian Oakes' excellent photography exhibition in the National Park Visitor Centre, so I don't feel too sorry for him. We started out, following the long cycle track to South Hessary Tor. There were considerably more people out this morning, enjoying the perfect conditions and it would be a while before we would leave them and venture into more remote areas. We finally left the track, and made our way down to Peat Cott. 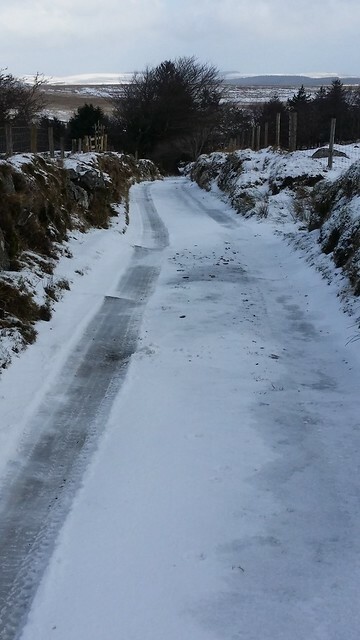 The road was a skating rink and it was steady as we go down to the small chapel and the Devonport Leat. 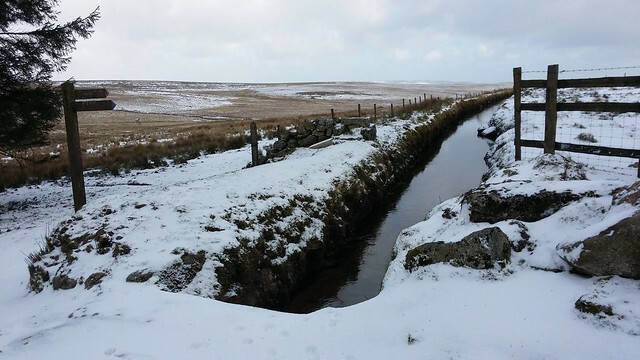 I cannot recall the number of times I have met up with this leat at various points on the moor. 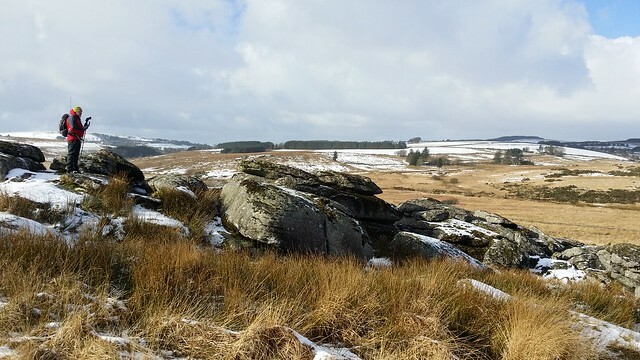 At some stage, I'm going to walk it's entire length from near Wistman's Wood on the North Moor, to Burrator Reservoir on the South. Today, though, we barely stayed with it for fifty metres. 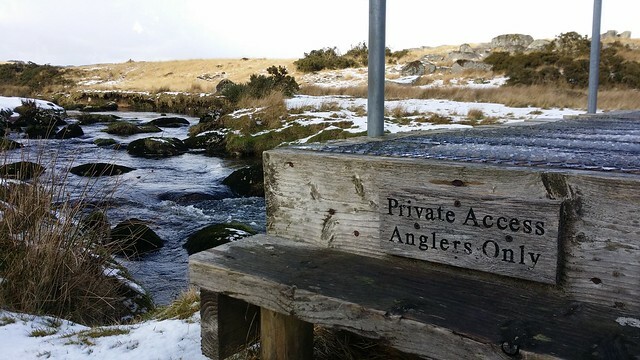 We cut down to cross the Strane River, and to traverse its boggy north bank to Strane Tor. 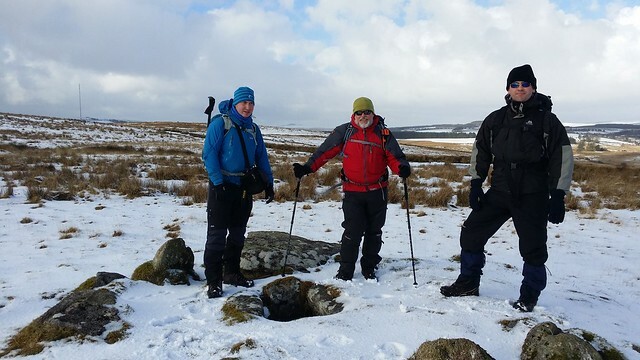 The main purpose of this was to finally put rest to Phil Sorrell teasing Rich, who had bagged the wrong rock last year, but still left it on his list. I'll admit I was with him at the time, but I had the fortune to come back a few weeks later, with Phil, to correct the error. 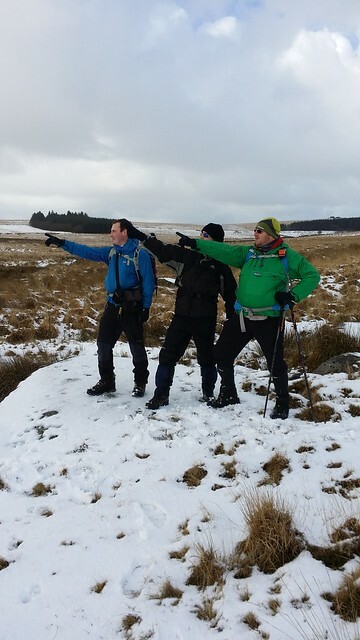 Normally tricky terrain was proving a breeze in the frozen conditions. 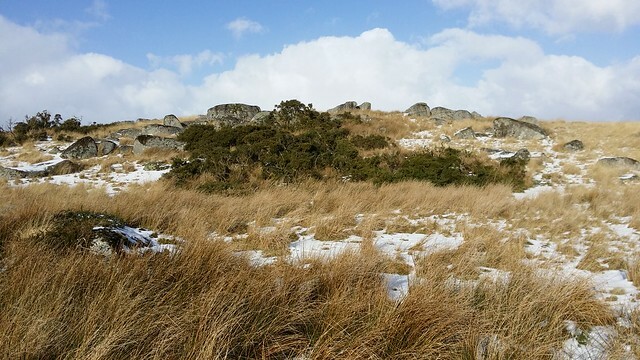 We were soon up to the large cairn above the river, and then on to Royal Tor. 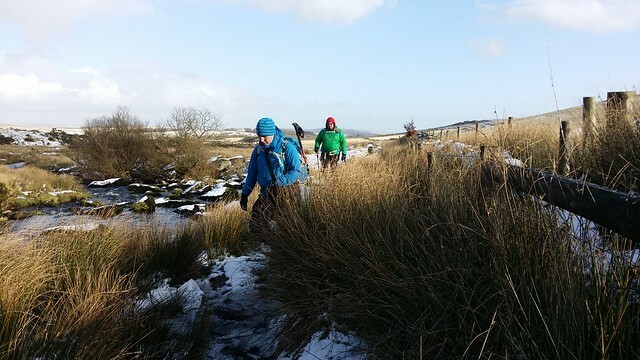 No faffing around bogs and deceptive pools of sphagnum today. We dropped down to find the "Crock of Gold". 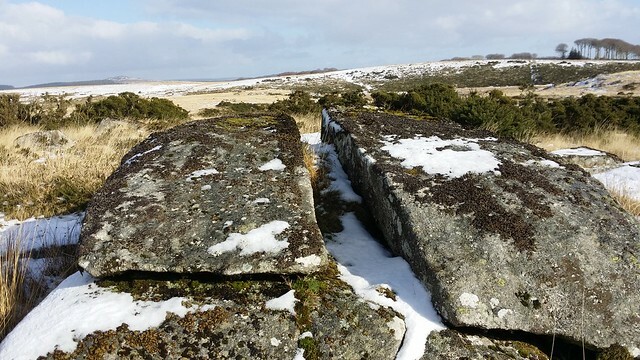 It's an impressive cairn and cist situated close to a bridleway that goes from Princetown to Hexworthy. On fifty percent of my four occasions looking for it, I have come away disappointed. On this search, the penny finally dropped. I say "search", but I walked straight to it with little fuss, as was the case a couple of years back, when approaching from the south. On the other attempts, I was on the track to the north of it, and not the bridleway marked to its south. As such I was searching on the right side of the wrong track, if that makes sense! 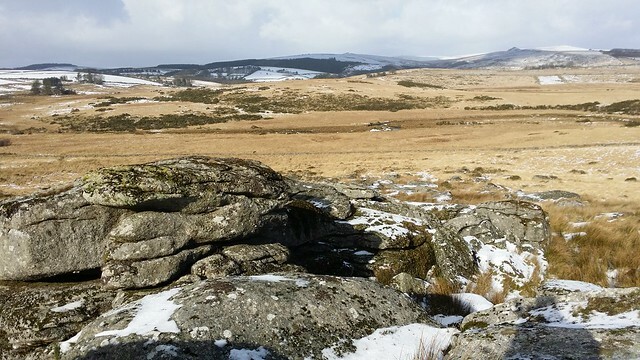 We confidently stepped off road again, and headed for Blakey Tor, affording good views of the Blackbrook and the moor to the east. Spotting a hole in a wall, which seemed a short cut more preferable to going to the gate further east, we were soon disappointed as our eyes focused in on a double fence of barb wire. We were off the hill now, and so we had to negotiate a spot of moor that had been a while in the sun, and couldn't be trusted. We gave it a wide berth, and reached the gate without drama. Over a small hill, we were soon at our next objective; Buck-Sorrell Rocks. We crossed the Blackbrook on the bizarre "Private Access Anglers Only" bridge, to the north side, and the other collection of Buck-Sorrell. Now, officially, they aren't named "Buck-Sorrell", and are likely better known as Prince Hall Rocks. But on our first visit, Phil Sorrell and I couldn't work out why its appearance didn't match Ken Ringwood's photo or description. 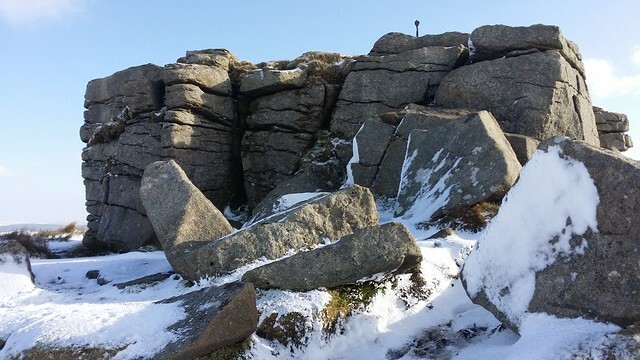 We checked our grid ref and realised we had missed the actual point Ken attributes as the granite outcrop to visit. We went on a further search of it and found the elusive tor surrounded by gorse and brambles, some distance from the original rocks we had found. 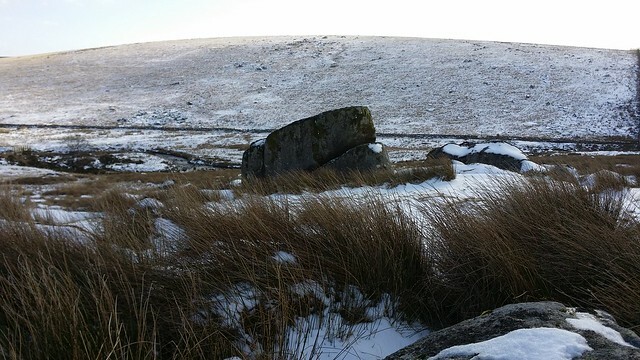 Now, strictly, Ken cites Prince Hall Rocks as being "Two extremely small granite outcrops and other rocks between Roundhill Farm and Prince Hall Hotel" but we took the opinion the ones further east were too significant to be labelled "other rocks". So we decided, there and then, to claim the two sets for ourselves, christening them "Buck-Sorrell Rocks (North and South)". On the premise that if a name is used often enough it soon sticks, we shall now forever call them "Buck-Sorrell Rocks", encourage others to do the same when they visit and blog, and hopefully let time weave its magic. 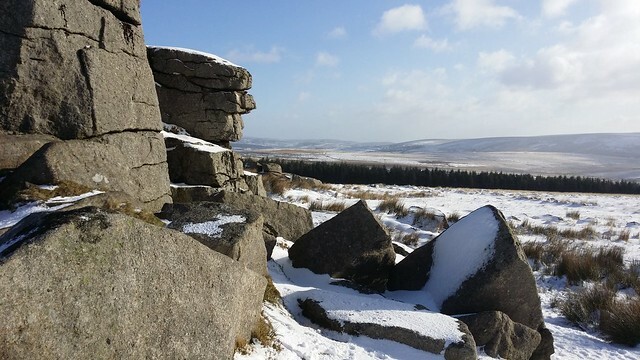 One day, our names will be immortalised in this quiet corner of Dartmoor! Well that's the plan, anyway! 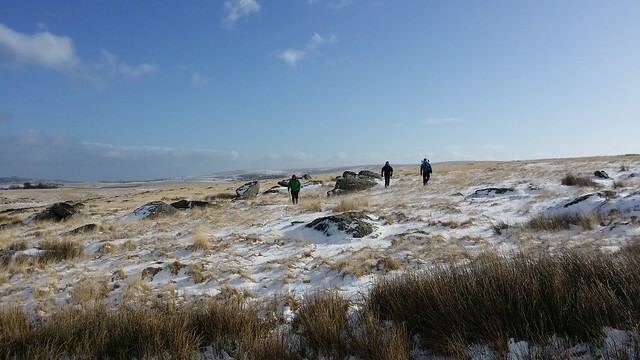 Moving on, we started back to Princetown, via Round Hill Tor, where we took a break, finishing off a flask of Ribena. We then dropped back down to the Blackbrook, crossing the footbridge, and then following the bank to a gate and a good track passed Bachelor's Hall. 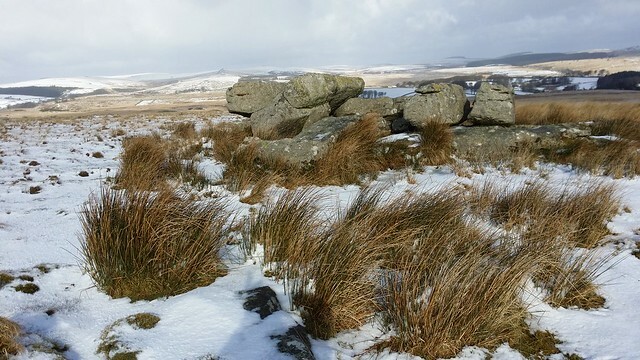 Through snow covered fields overlooking Princetown, we were soon back at the car park, ready to tackle the drive home. We all said our goodbyes. Matthew was fortunate to be staying down here another couple of nights, whilst Neil was heading home to Bristol, Rich and I returning to the outskirts of London. Choosing to take the B3212 to Yealmpton; the best gritted road off the moor, we were shocked and appalled by the traffic. Both sides of the road were clogged by cars parked bumper to bumper. It was one thing for the residents of Plymouth and alike to come up and enjoy the snow on this beautiful day, but to behave so irresponsibly was another matter entirely. It was gone three in the afternoon and still the cars were snaking up from down below. We passed drivers just pulling up and getting out with little thought of oncoming traffic or people behind them. We saw car bonnets adorned with snow men, and other sculptures, obscuring their vision as they drove along; it was as if a local lunatic asylum had decided on an open door policy! 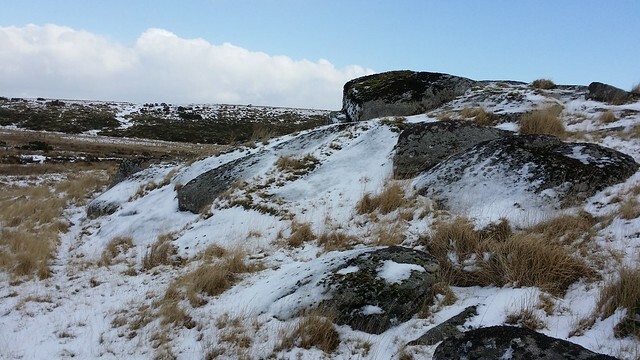 I didn't like seeing Dartmoor being abused like that; I was glad to be leaving, safe in the knowledge that this is unusual, this amount of snow is relatively rare, and when it melts, the idiots will have left. Hopefully, their visit won't have had too much of a detrimental impact on the locals, the livestock and the wildlife.